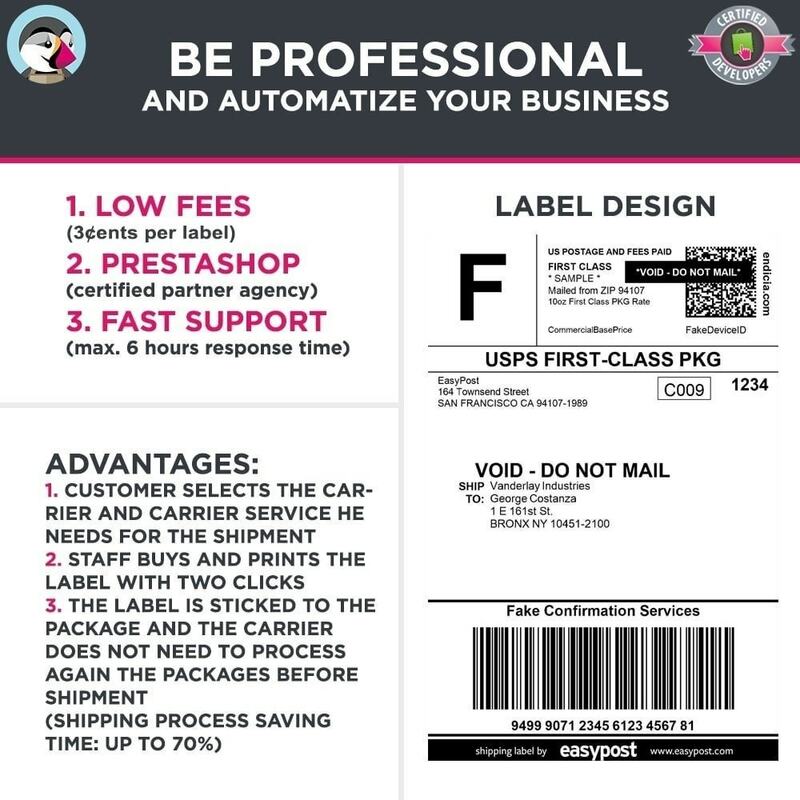 We all know that in order to run a successful business you have to optimize it and automatize it as much as possible, this module allows you to do that by increasing the shipping process by 70%. 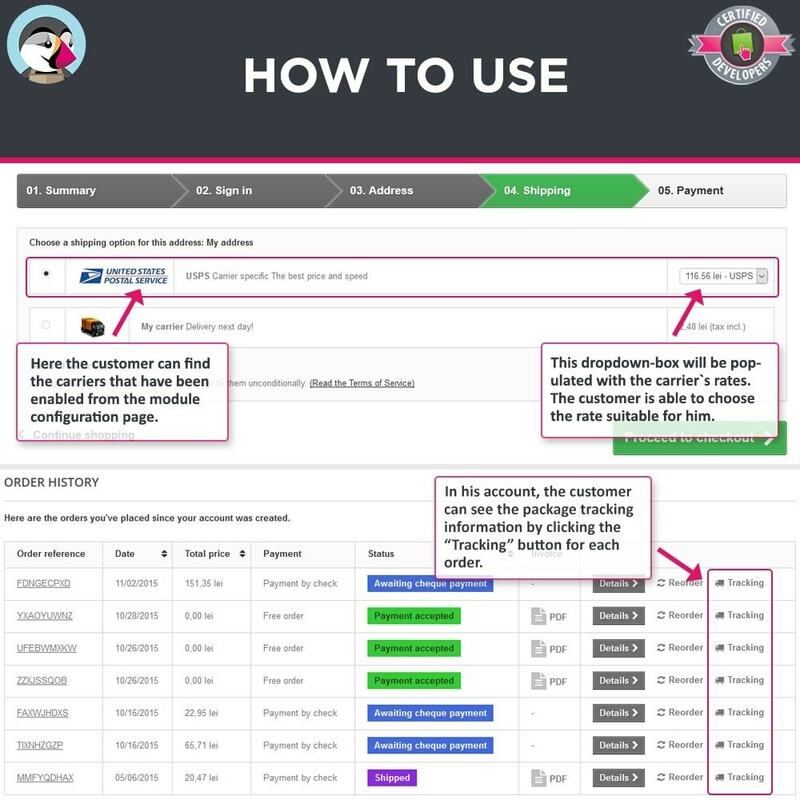 Think of how long it takes to receive an order from your customers, process the order by adding the products to the package, then connect to your shipping carrier`s software and manually insert the customer information, parcel information and delivery address for the order, for each order at a time. This is very time consuming and it`s very easy to make mistakes because you have a lot of data to process. 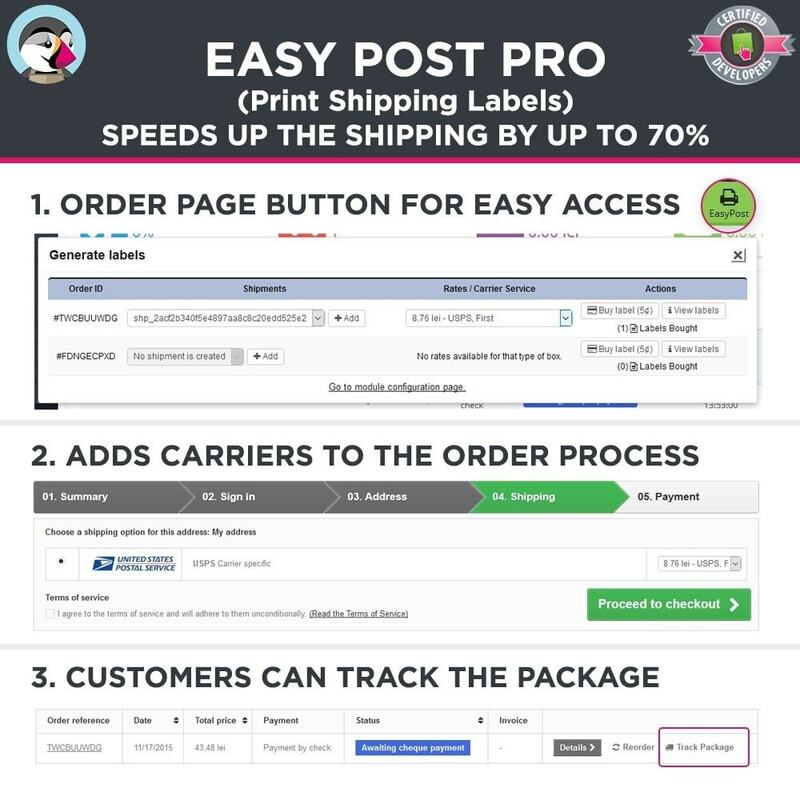 With this module all of this is done automatically via the API (Application Programming Interface) that connects the orders section in prestashop with the carrier and instantly sends the information to the carrier, then prints the shipping label which is then slicked to the package. The module supports the most important carriers in the world. Save time. 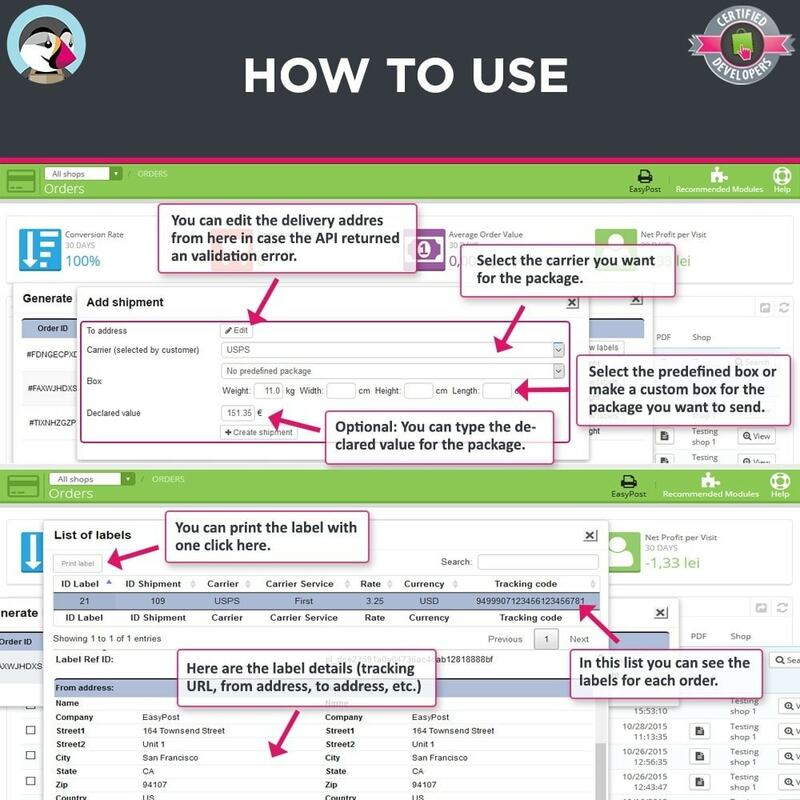 Perfect workflow with AJAX, the browser doesn't refresh because the most of the operations will run in background. 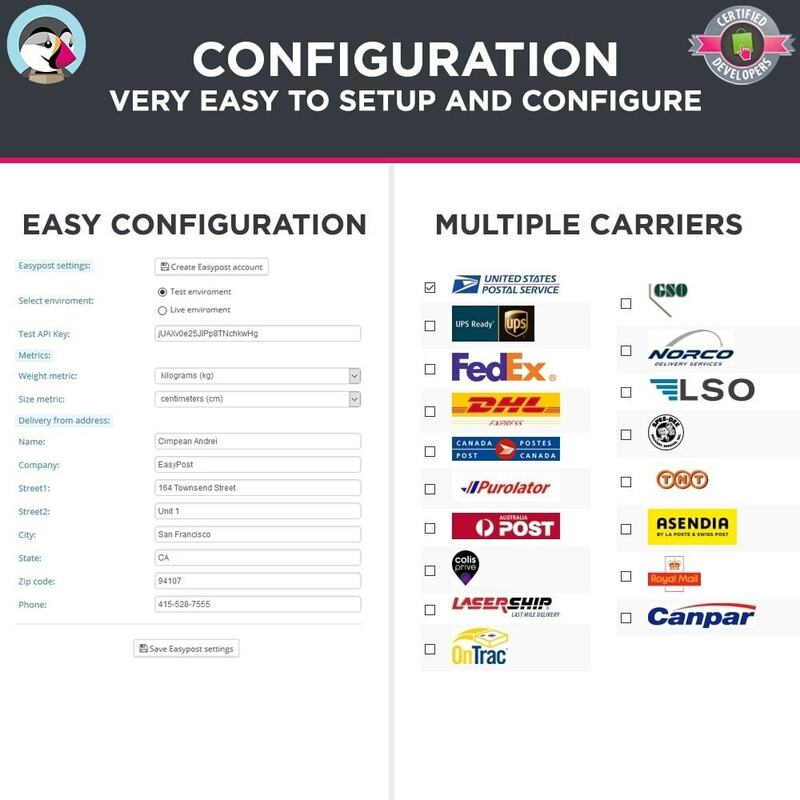 Easy to configure: You just check/uncheck the carriers you want to enable/disable and the module does it all for you, it populates prestashop tables with your carriers and modifies all the required settings so that your shop can fully integrate them. Customer is able to get and select the carrier and the carrier service that he wants, the price is calculated in real time by his delivery address. 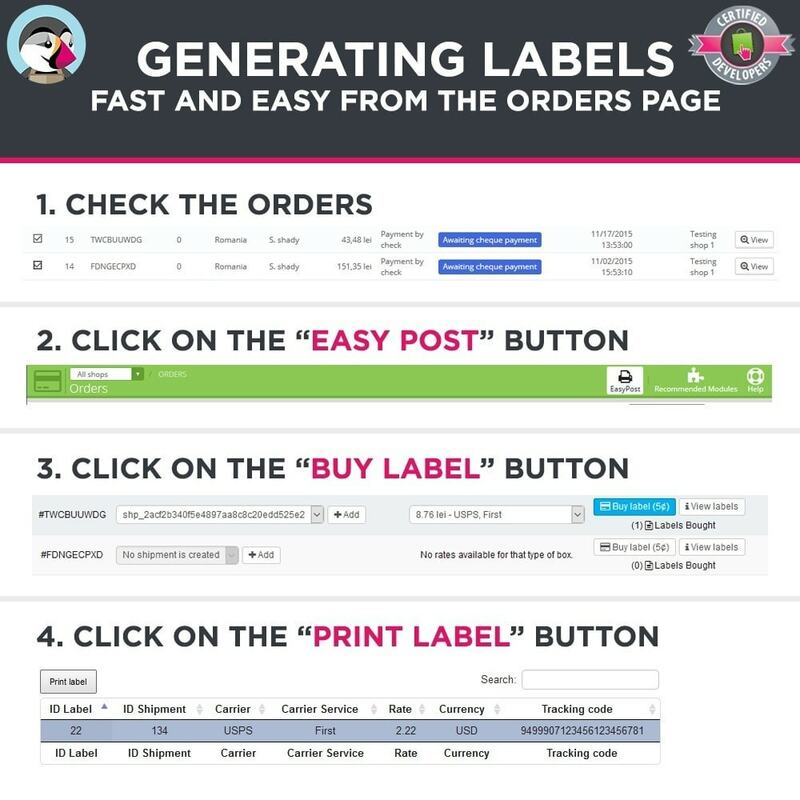 The customer can track the package after the order is completed. 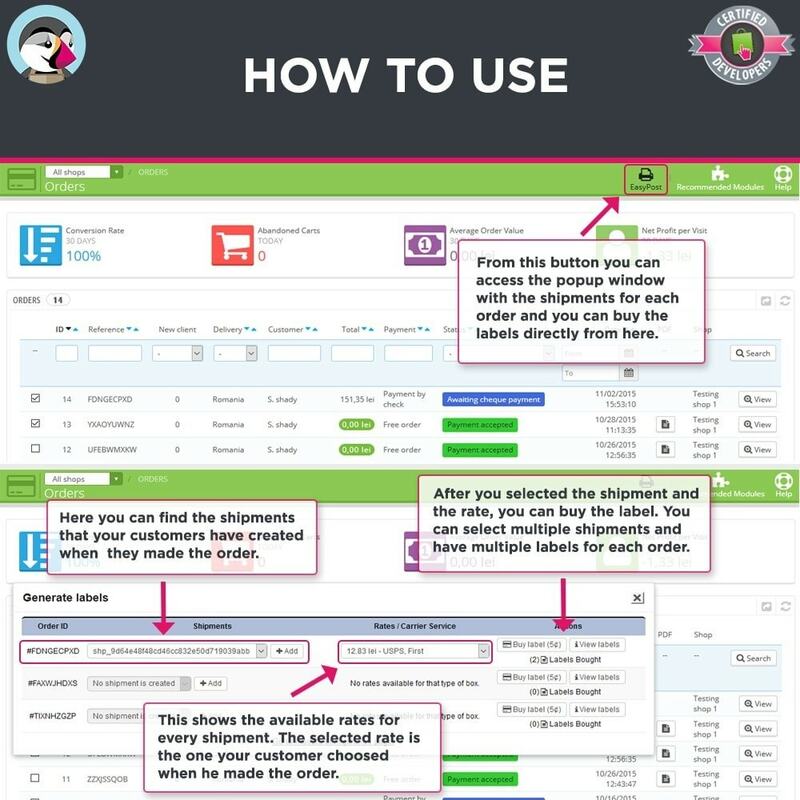 Customer gets high detailed information about the shipping costs and he is able to choose the shipping service automatically. Also the customer can track in real time the package. 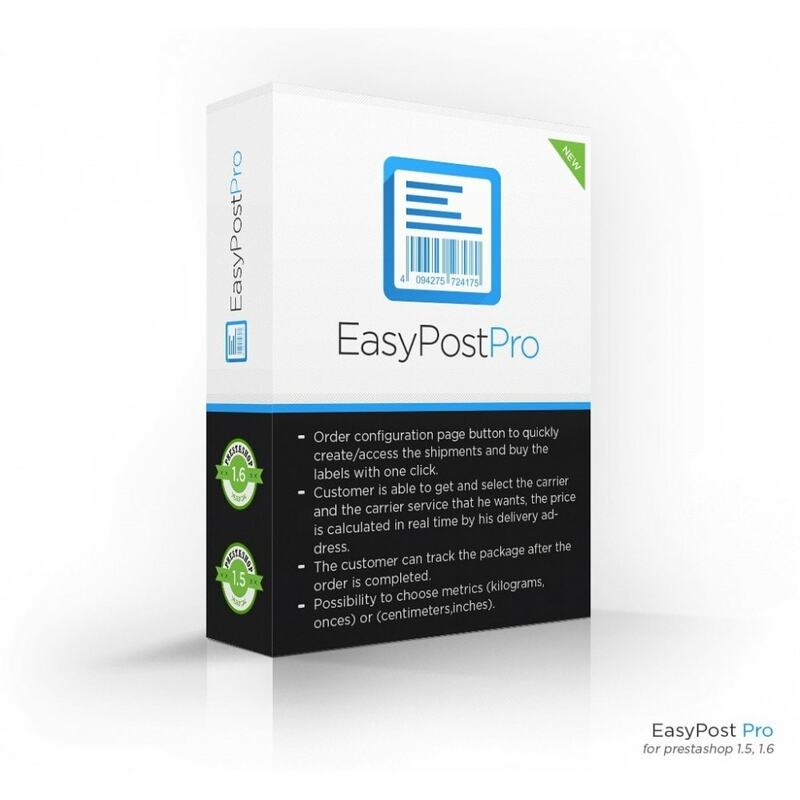 This module uses the www.easypost.com API, you have to setup an account first then use the API key to connect. For installation instructions read the readme_en.pdf file located in the module folder.